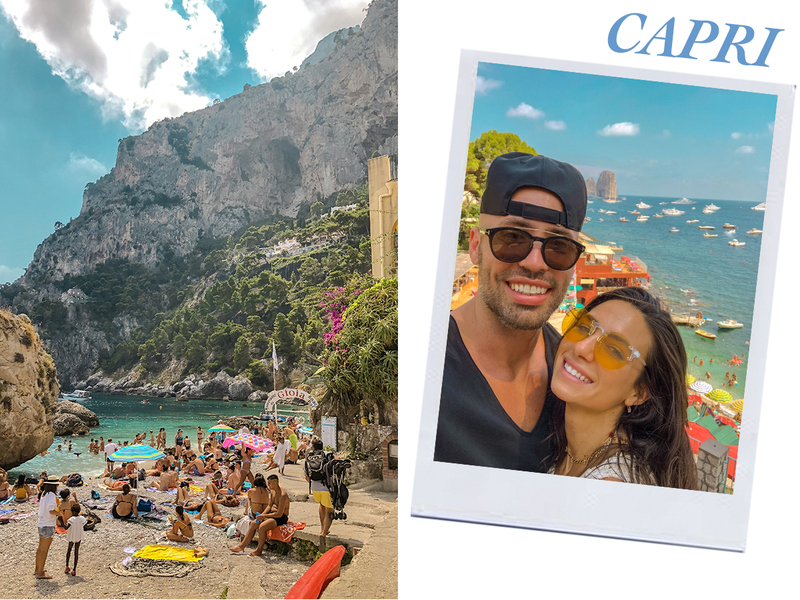 Capri, Italy is in my top three favorite places in the world. 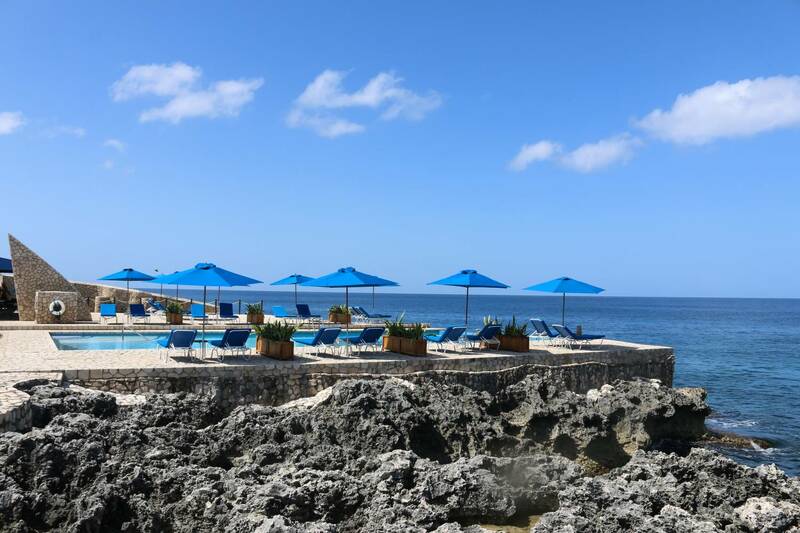 It’s the most perfectly luxe, sophisticated, mesmerizing, yet humble and happy island I’ve yet experienced. 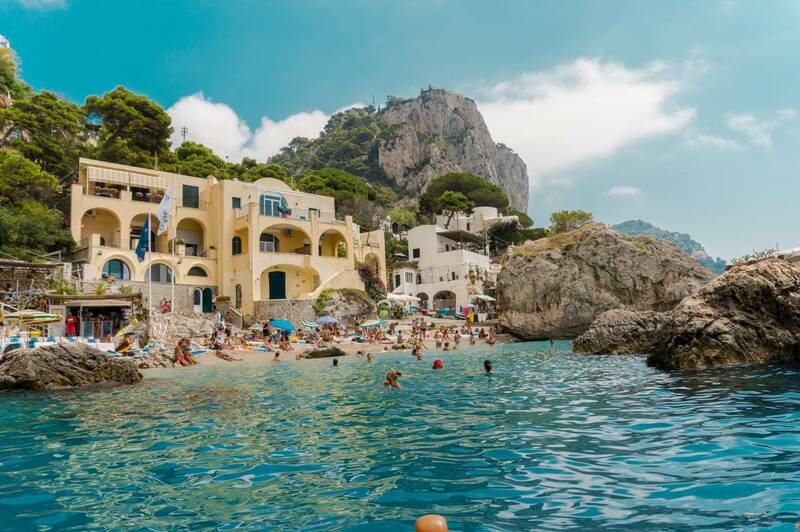 This island off of Italy’s coast is famed for it’s beautifully rugged landscape, upscale hotels, designer shops, limoncello (must try! 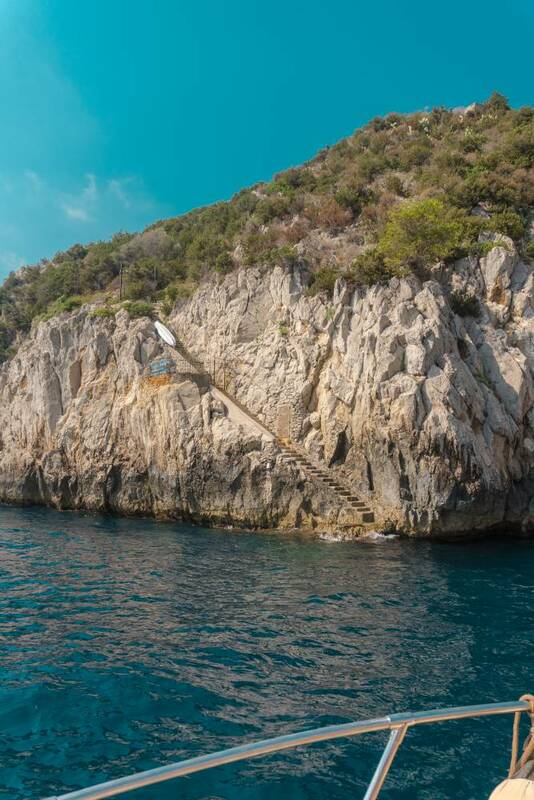 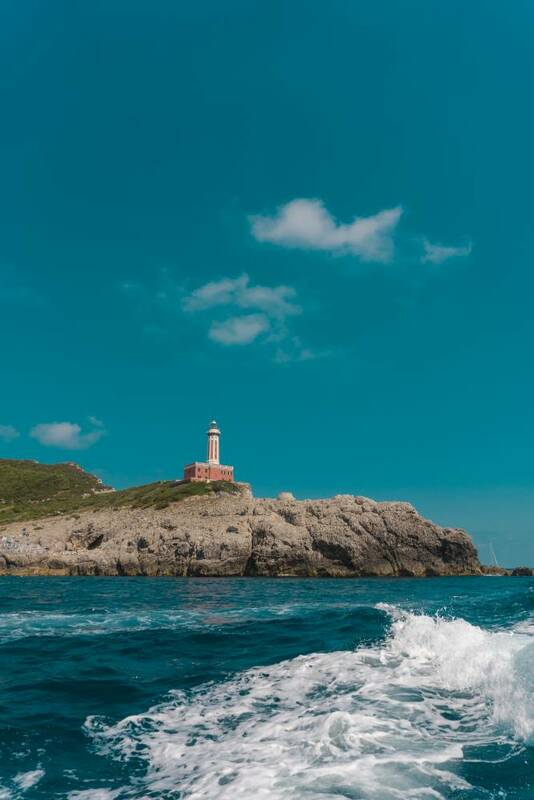 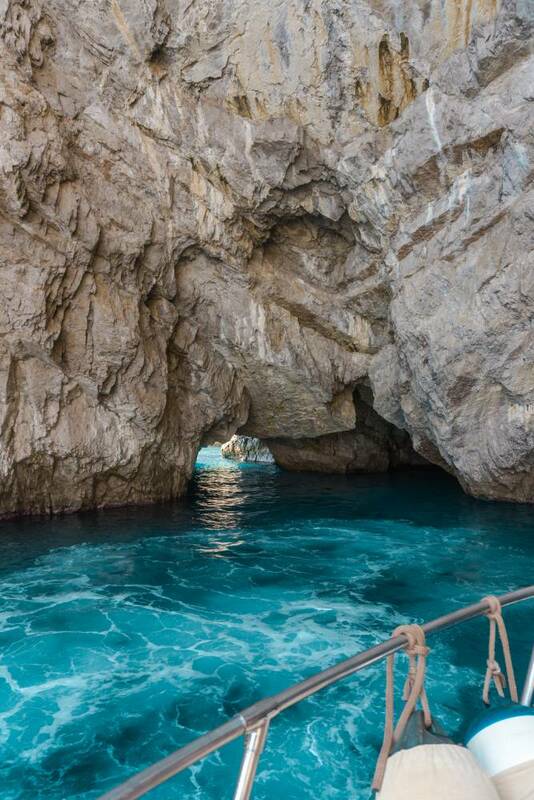 ), and the beautiful natural sites such as the Blue Grotto and Faraglioni. 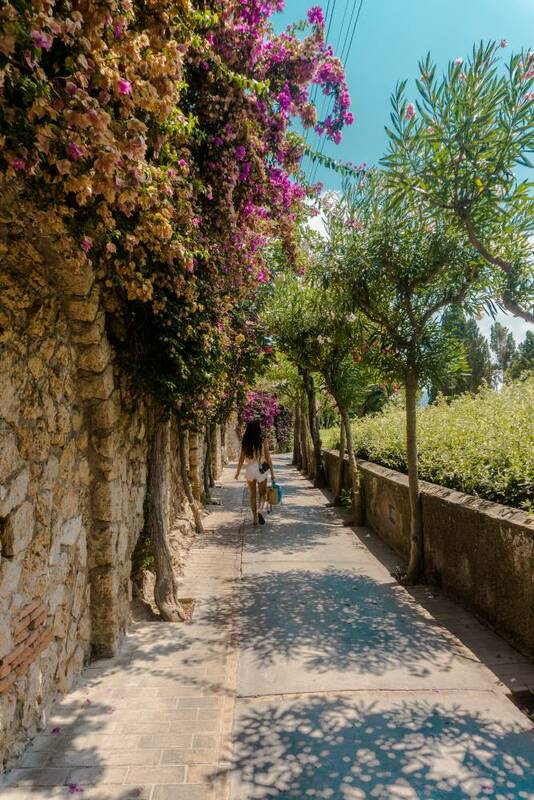 Did I mention it’s one of the happiest places on Earth? 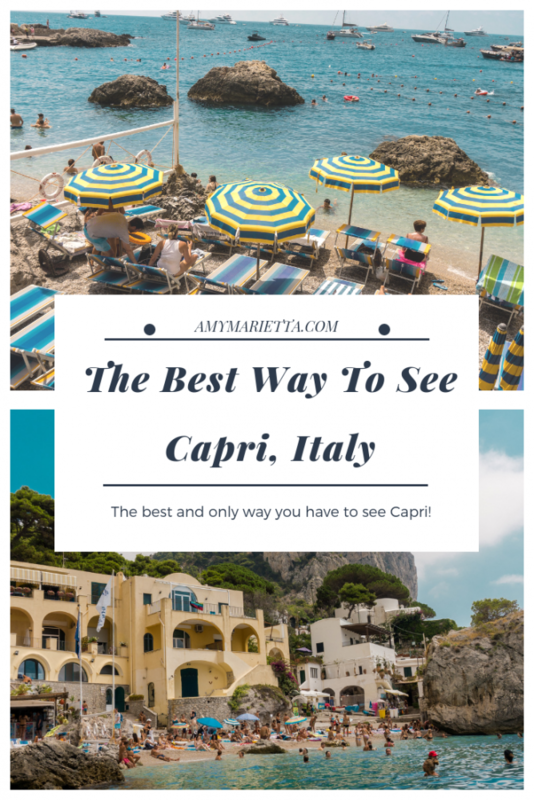 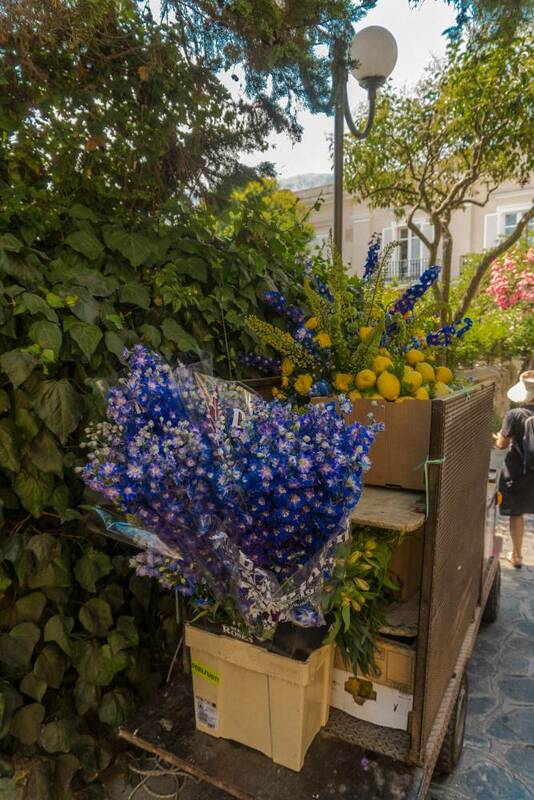 Because I’m still smiling just thinking about it:) I hope that you add Capri to your travel bucket list and experience it for yourself, but in the meantime I’m going to share with you the best way to see Capri, Italy. 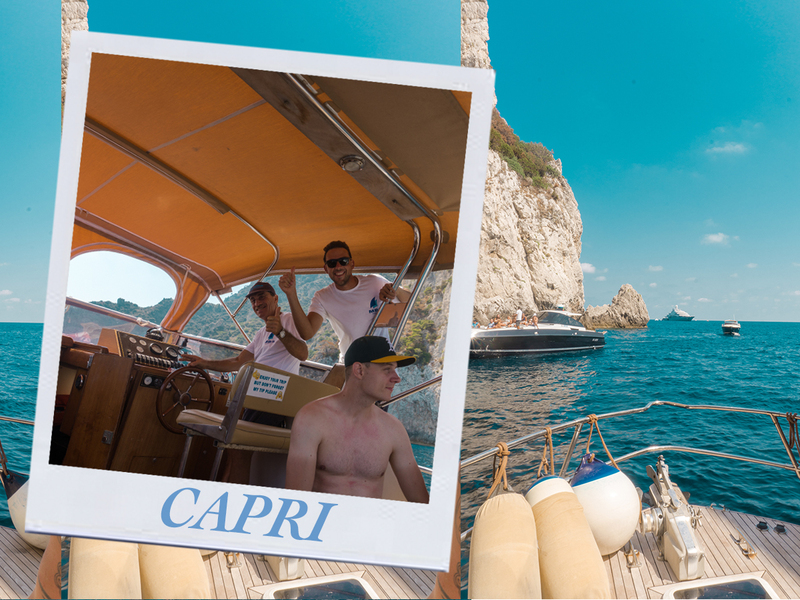 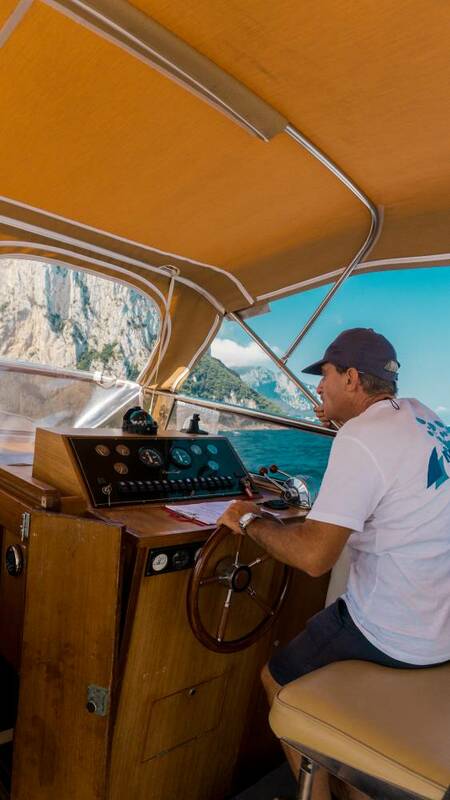 The best way to see Capri, Italy is by a semi-private boat tour, private boat, or yacht. 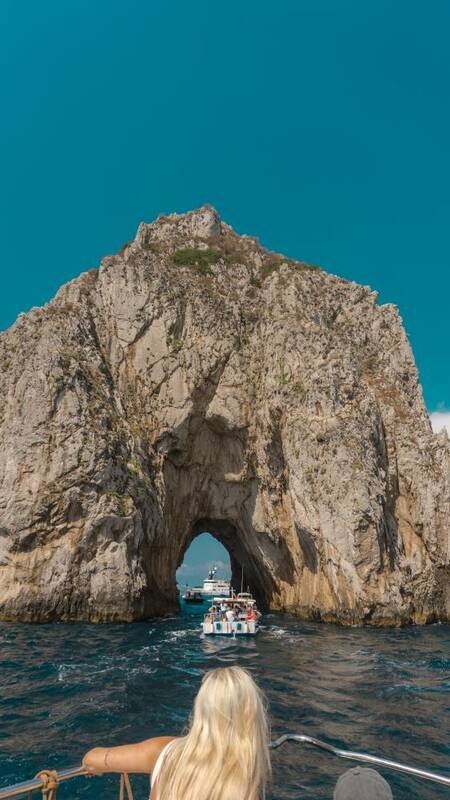 It’s best to take the magnificent sights in from a distance first. 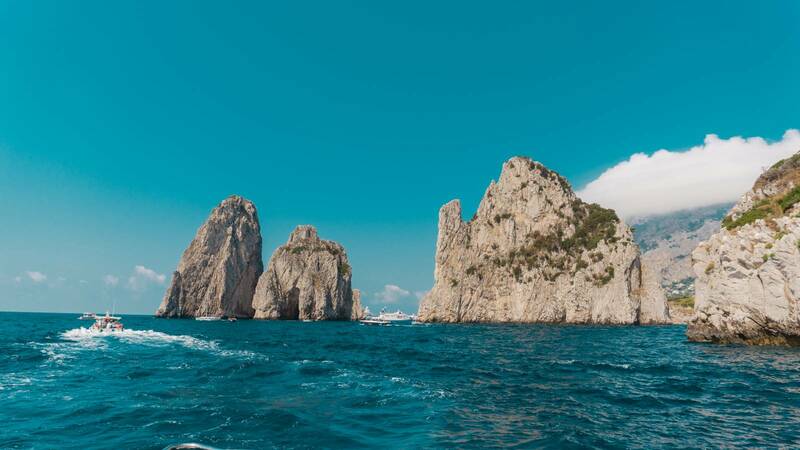 You can also travel to Capri by a ferry boat, but it’s not as fun and they don’t teach you much about the island, history, and culture. 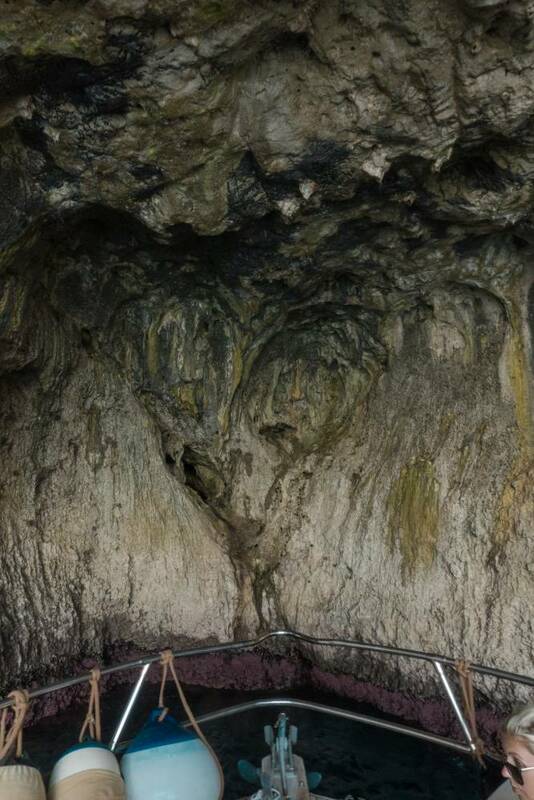 It’s just not as personal. 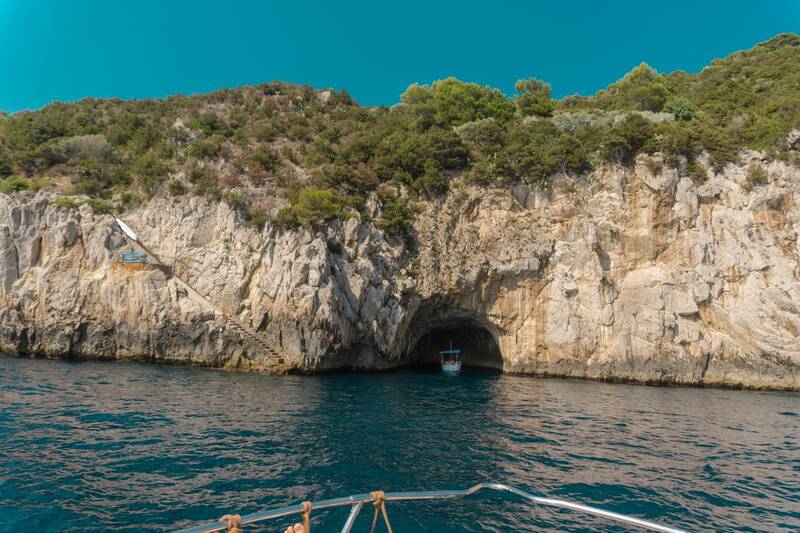 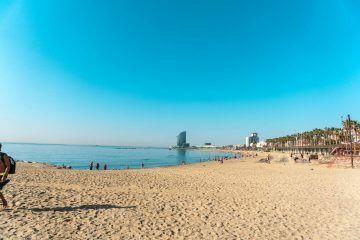 I’ve done both – hoping to do by yacht next summer – but I really loved the semi-private boat tour I found on Trip Advisor. 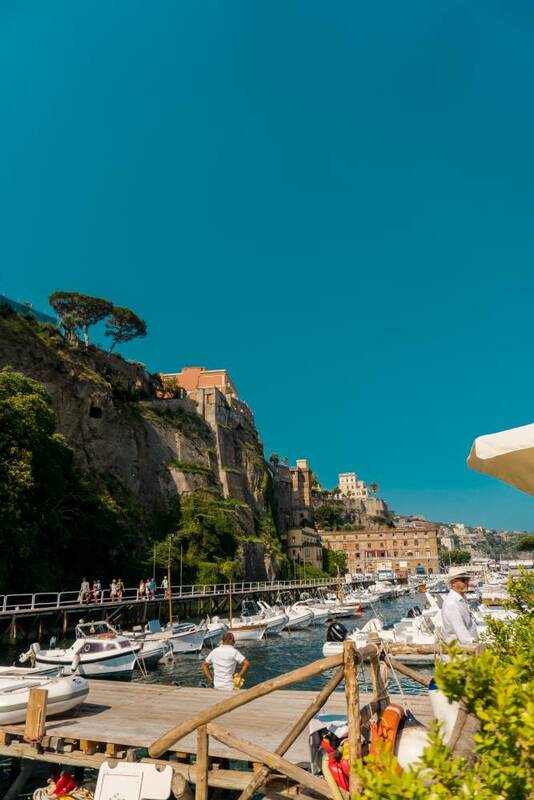 For the first few days of our trip we stayed in Sorrento which is where this specific boat tour departs from. 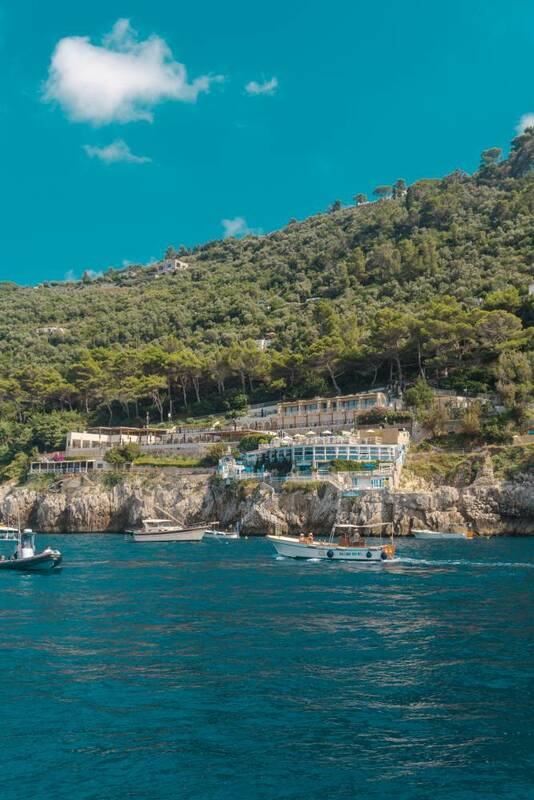 It was Joe, myself, and about three other couples along with the boat driver and his charismatic son. 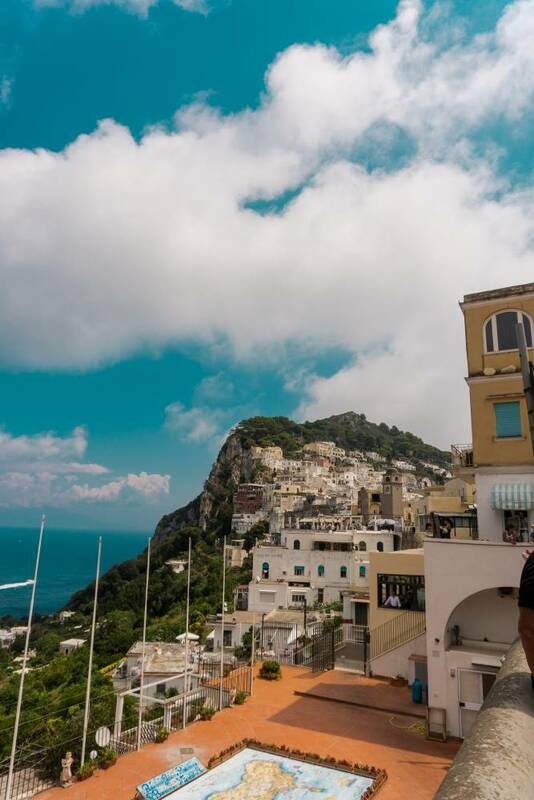 We had the best time meeting other people from all over the world, drinking limoncello, learning about the culture, and basking in the glorious Italian sun. 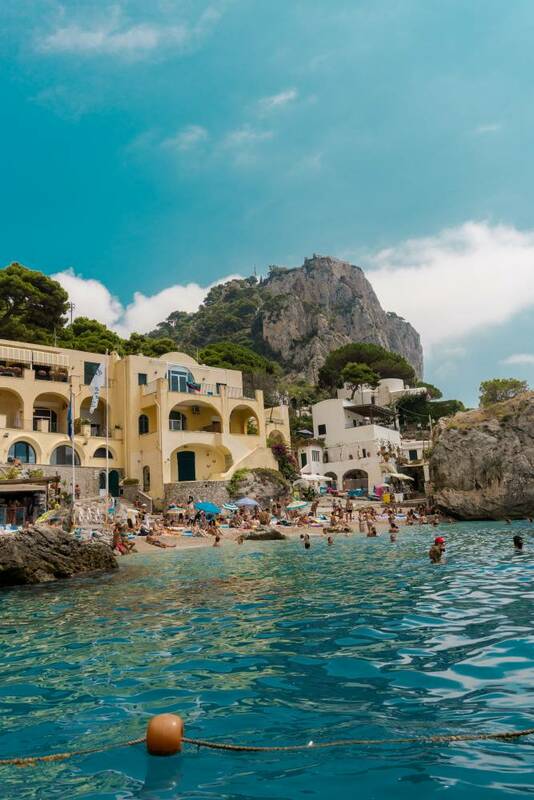 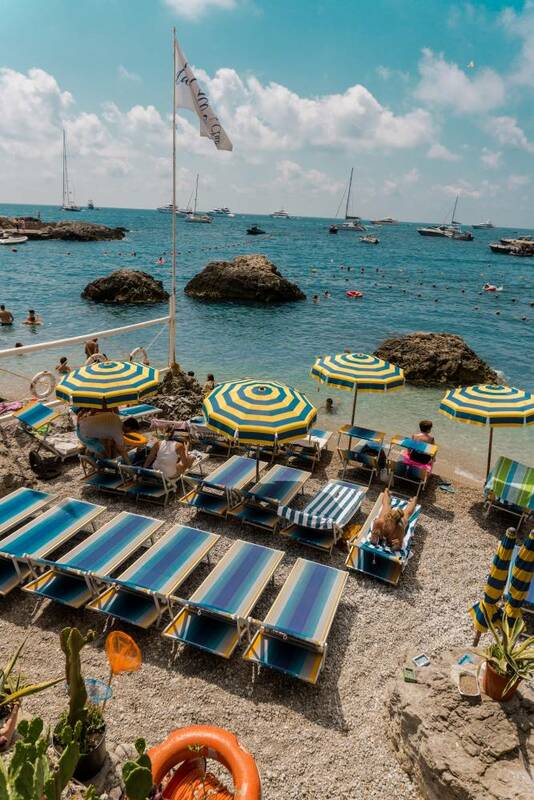 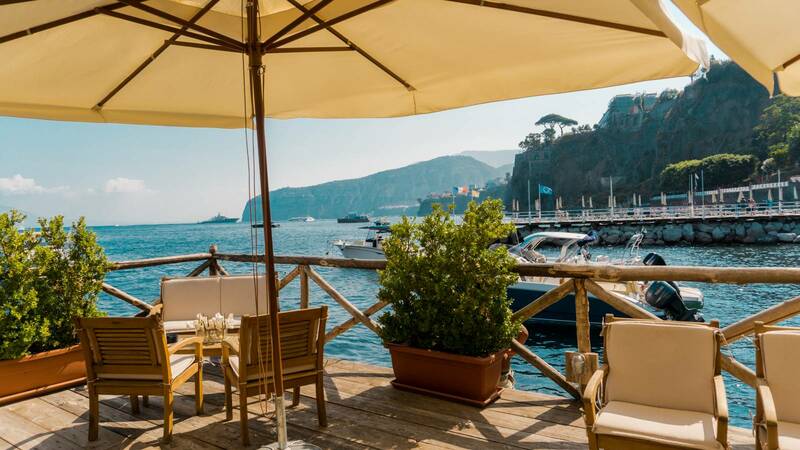 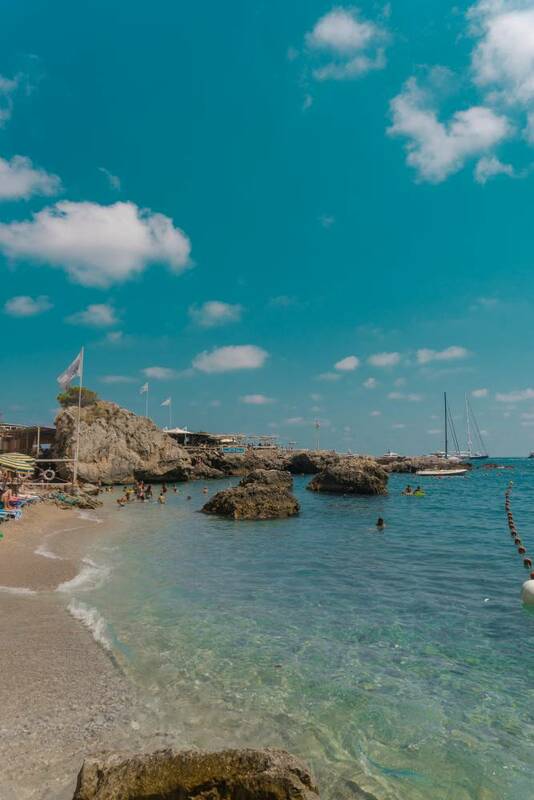 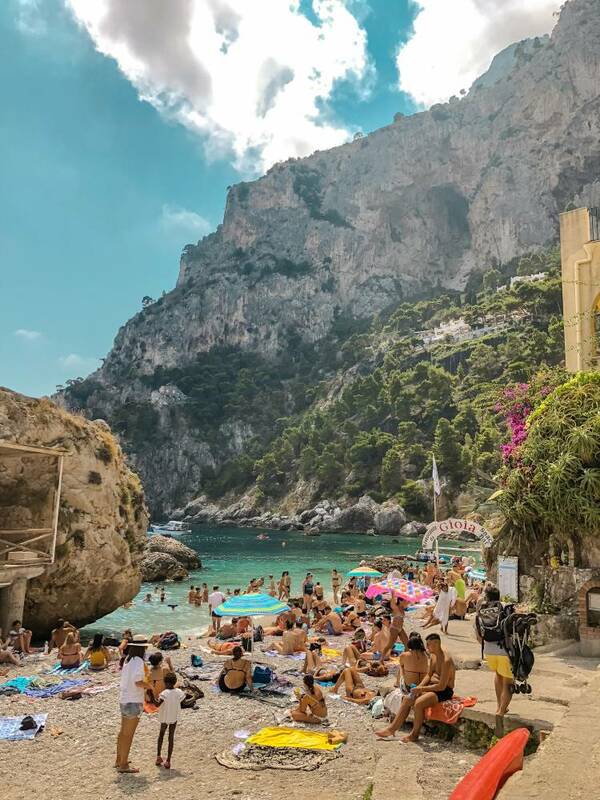 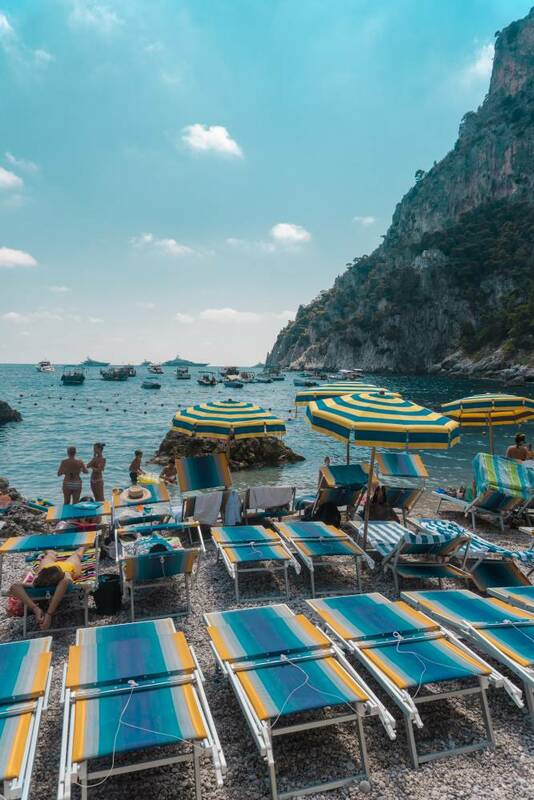 After you enjoy the scenic boat ride from Sorrento to Capri, and around some of the famous sights such as the Faraglioni, you will stop at this quaint, picturesque beach. 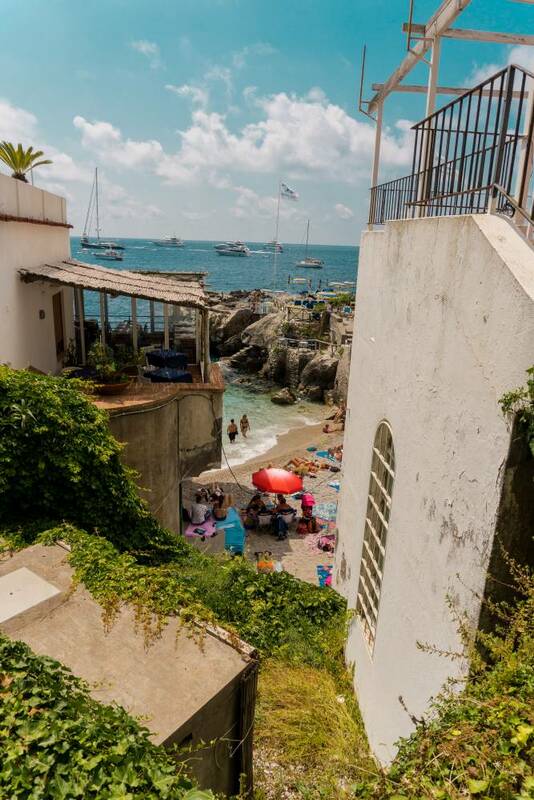 From here you can take a bus into town and go explore for a few hours. 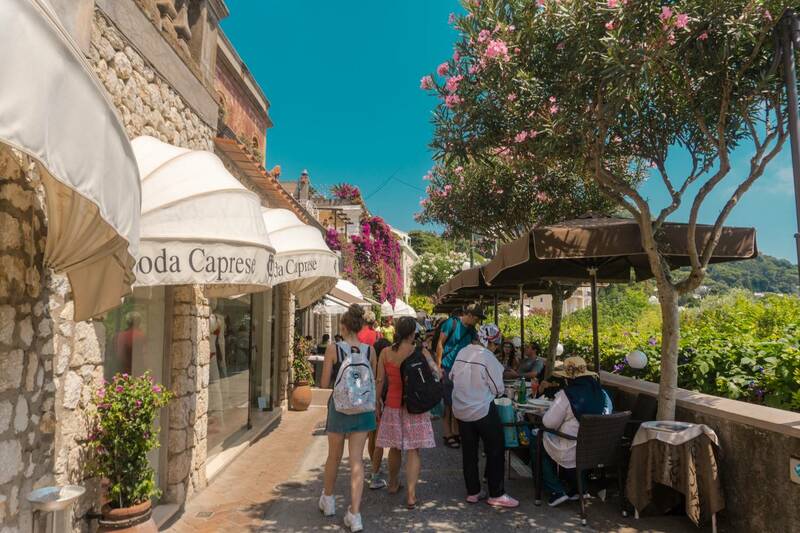 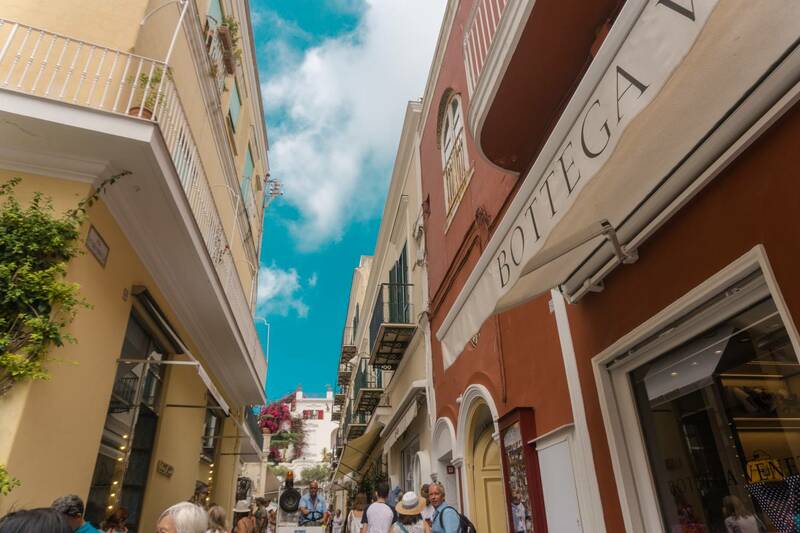 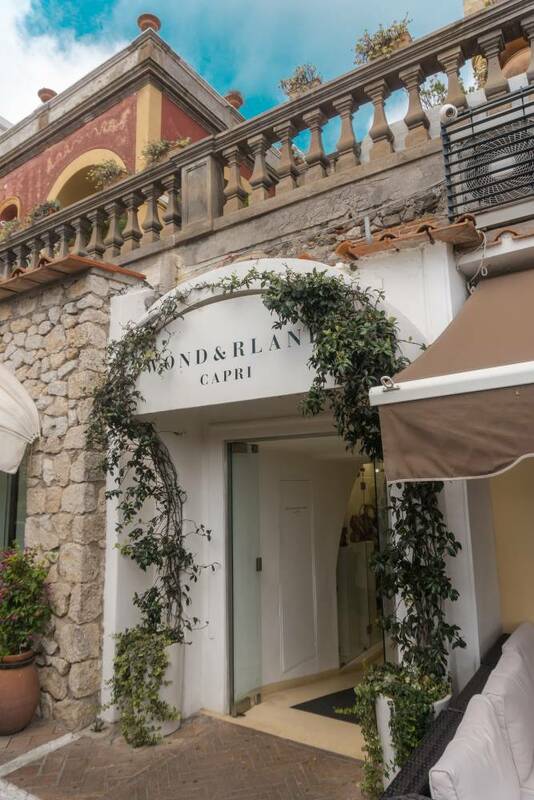 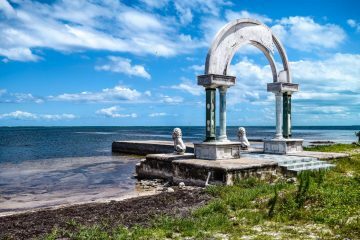 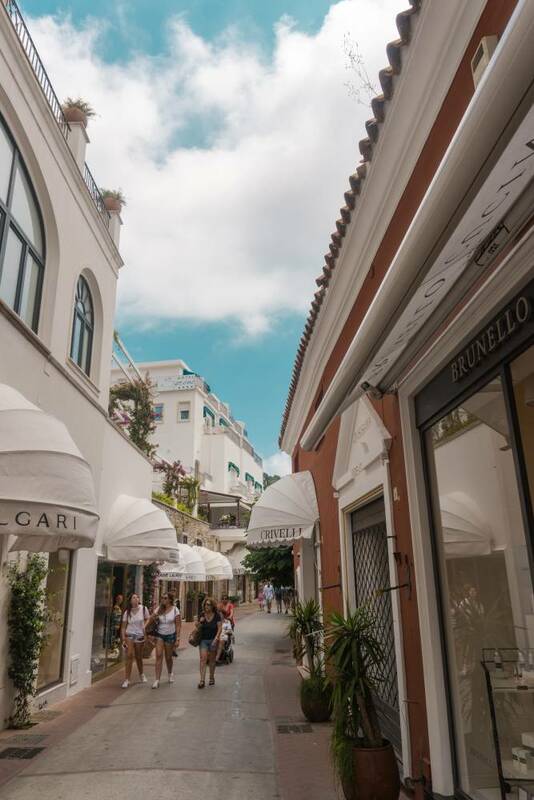 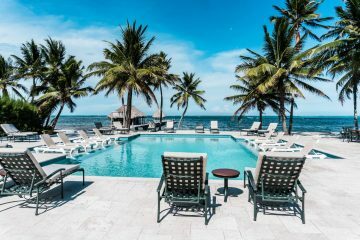 We went shopping at my favorite luxury boutique on the island, Wond&rland Capri which carries A.M. Club, ate lunch, soaked in the culture, and enjoyed the views. 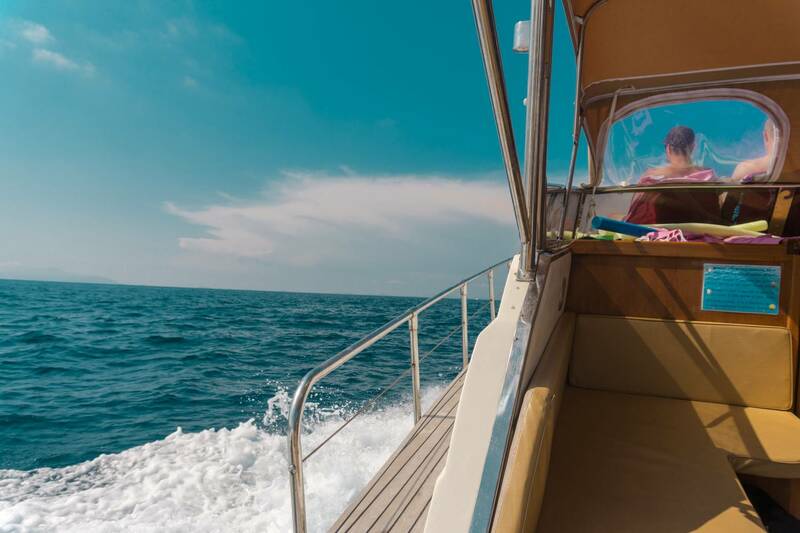 Then we met back up with our group and continued to live our best lives on the boat. 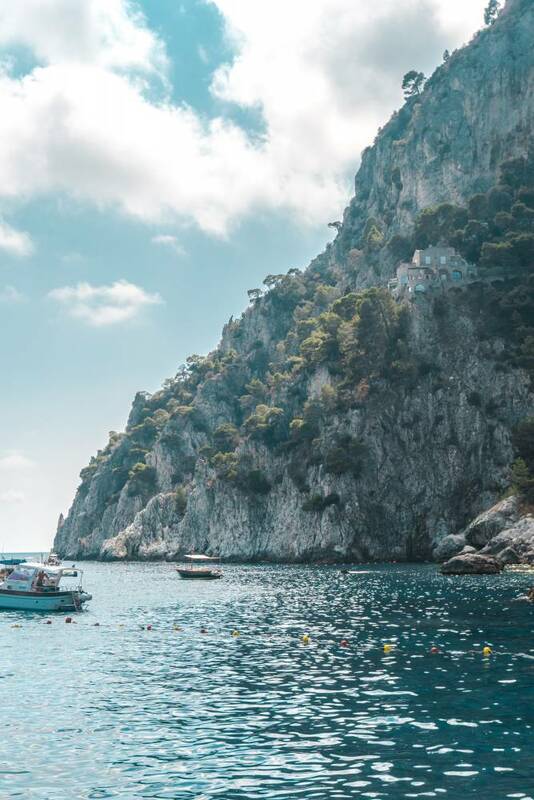 Capri is very hot in the summer time, so it’s best to be by the water. 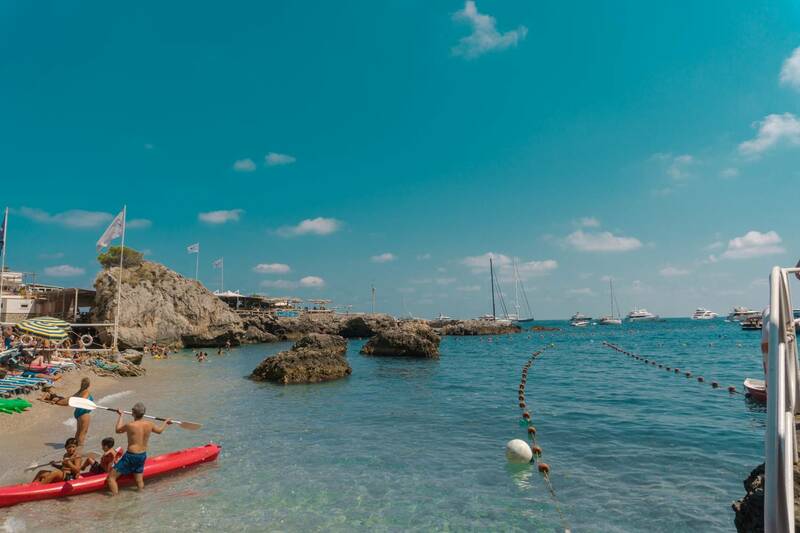 We went for a swim, saw the Love Cave which is shaped like a heart, the Blue Grotto, and more picturesque coves around the island. 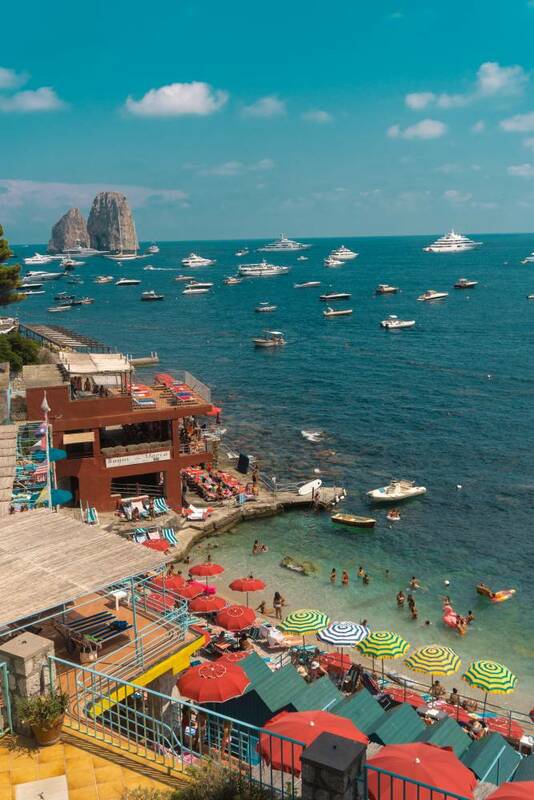 I loved seeing all the yachts that were surrounding Capri – they make for such beautiful & bougie photos.